We are so excited to be releasing our new album Palette on Friday, August 8th at 7pm at Joe’s Pub, one of the most magical rooms in New York City! This special performance is part of the IDRS 2014 (International Double Reed Society conference) hosted by NYU (but tickets are open to the public!). Palette features new compositions by Pamela Sklar, John Wriggle and unique arrangements by Kathy Halvorson, Scott Anderson and David Bussick. We are thrilled to have several special guests joining us at the show, including the incredible Jamie Leonhart and Eleanor Dubinsky(vocals), Christof Knoche (bass clarinet), Scott Kettner (percussion) and more! The acclaimed The Breaking Winds bassoon quartet will be opening for us! WE’RE MAKING A NEW ALBUM- HELP KICKSTART US TODAY! New Music. New Collaborations. New Instruments. It’s time! Greetings, loyal fans! We have some exciting news- we’re ready to record our next album! We took a little break to rehearse, arrange and experiment, and we’ve got some really amazing new music to share with you. We’re itching to get back into the studio, but we need your help! We’ve just launched a brand new Kickstarter campaign to help us realize this dream. Our goal is to raise $7,000 so that we can record a new album and share our new music with you. Here’s what you can do to help: click on this Kickstarter link and donate today. You’ll receive a copy of our new CD (due out Summer 2014) and some other cool rewards, like oboe lessons, concerts and having your name listed in our CD! If we don’t meet our goal, we won’t be able to accept your generous donations, so please spread the word. We’ve got 33 days to make it happen- ready, set, GO! Please visit our Kickstarter site today- even a $1 donation will bring us closer to our goal! Get a FREE download from our debut album Unraveled HERE! Trick-or-Treat with Threeds O-BOO TRIO! with your favorite o-boo trio! Sunday, October 28th at 1pm. No tickets or advanced reservation required. Andrew Lloyd Webber & more! Greetings! Hope you all had a wonderful summer. Ours were filled with music, travel and a baby! Caffe Vivaldi this Sunday & MacLife Magazine Feature! We’ll be back at the cozy and charming Caffe Vivaldi this Sunday, March 11th at 8:30pm! Free show featuring new tunes by Zappa, the Cars, the Monkees & more. Special guests Nuno Antunes on bass clarinet, Keith Bonner on flute & Scott Anderson on guitar. Great food & drink available- hope to see you there! We are psyched to be mentioned in the April issue of MacLife magazine discussing our success using the website Kickstarter to fund our album! The magazine will be out next month but get a sneak peek here! Thanks to Seamus Bellamy & Susie Ochs for hookin’ it up! We’re excited to announce two new shows this winter- hope to see you there! After an incredibly busy 2011, we are taking a little break to arrange and work up some new tunes. However, we’ll be back in the studio this month (O Lab, Brooklyn) with our producer Scott Anderson as we’ll be recording music for his upcoming album Numerology Ology. Master classes by WCSU Faculty Gina Cuffari; Bassoon, Jo-Ann Sternberg; Clarinet, Mark Snyder; Oboe, Instrument Repair by Kristin Bertrand, Performance by WCSU student groups, all participant ensemble and WCSU Faculty at 4pm. Great Mention in Today’s Star-Ledger! Thanks to Ronni Reich for the nice mention in today’s Star-Ledger! 2Cellos, a duo of twenty-somethings from Croatia, gets it right. They made their mark in 2011 with a YouTube video for “Smooth Criminal” that received more than 5 million hits in less than three months and quickly found themselves touring with Elton John and recording for Sony. The conservatory-trained musicians mined their instruments to recreate wailing voices and percussive sounds and let it rip as they took on Guns ‘N Roses and U2. Choices among groups like 2Cellos had a few points in common — most notably, the King of Pop (who has also had a full symphony performing in his honor last year). 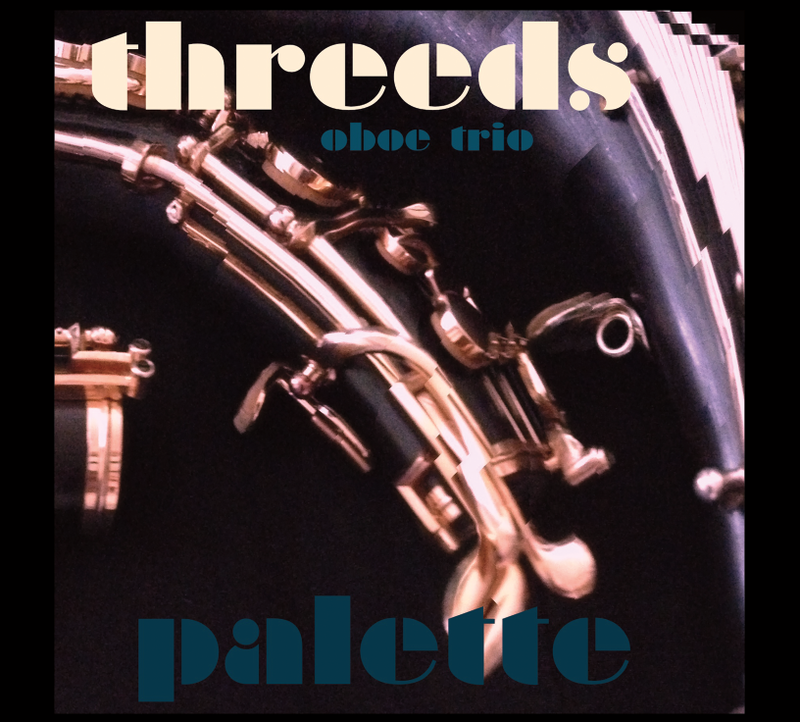 If “Billie Jean” on the oboe played by Threeds wind trio doesn’t sound quite as natural as “Smooth Criminal” on the cello, it’s hard not to smile at the bass-clarinet beat. On “Unraveled,” a self-released album funded through the website Kickstarter, the group — two oboes and English horn, with guest artists for various tracks — sounds even better with Björk’s expansive ballad “Joga,” trip-hop vibe added via vocal percussion and beatboxing. The slimmer texture lays bare the work’s framework, making it new for fans. Also taken up by Threeds and other groups is Radiohead. It’s not the most surprising leap for classically-oriented listeners and performers, given the complexity of their songs, but to pull it off is still an accomplishment. Grand Central Holiday Fair TODAY! We’ll back at the Grand Central Holiday Fair today from 1pm-4pm! Special guest Megan Marolf will be sitting in for Mark. Stop by and say hi! Hear us at the Grand Central Holiday Fair this Tuesday! We’ll be rocking the Grand Central Station Holiday Fair (Vanderbilt Hall) this Tuesday, 12/6 from 5pm-8pm with special guest Keve Wilson on oboe! Come on by for some holiday music and cheer! CDs will be available for purchase- they make great stocking stuffers!